Here’s one of the bunch of product review backlogs. Trying my best to publish and edit one by one so I can share my thoughts and humble opinions to my readers. When I was introduced to BB creams last year, I really can’t stop myself from trying different brands of bb creams available in the local drug stores. BB stands for Blemish Balm. It’s said to be able to moisturize, protect against the sun, soothe skin, prime skin and give full coverage, depending on the brand. 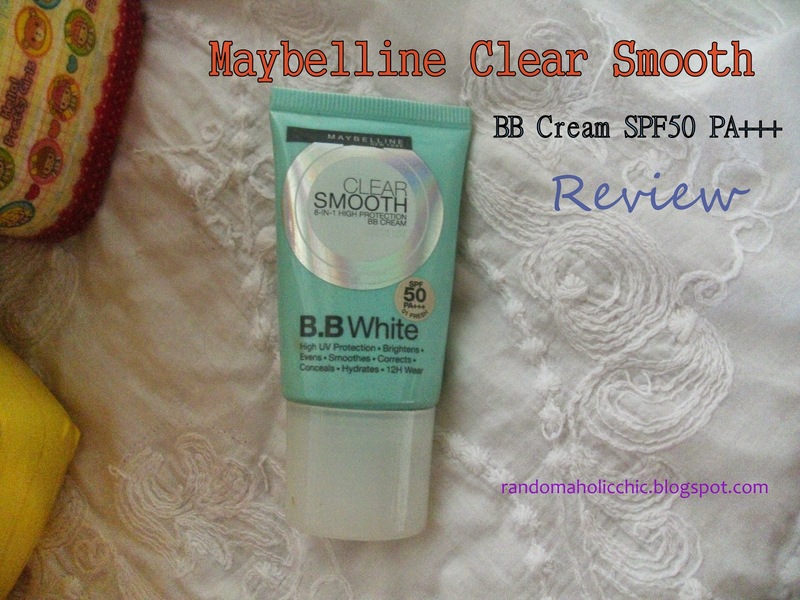 One of my old finds (late last year) is this Maybelline Clear Smooth 8-in-1 High Protection BB cream Anti UV. I have a combination skin and a dewy finish bb cream is a no-no for me because it will make my skin look and feel more oily all throughout the day. It doesn’t claim to mattify skin so I was kind of expecting it has a dewy finish. When I finally tried wearing this bb cream, my expectations were just at the level of its performance. Easily available at all local drugstores. Small enough to fit in my purse. It feels sticky and oily after 6-7 hours without primer. 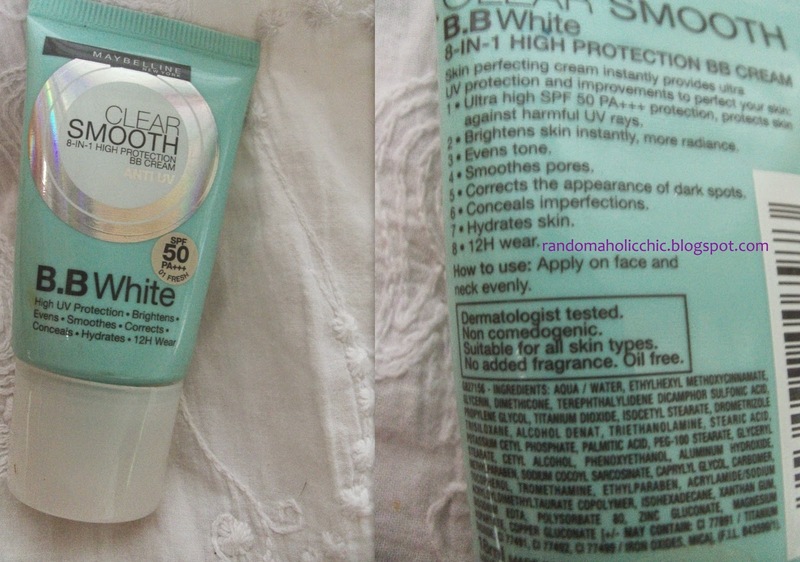 Don’t expect much on the coverage because my pimples are still visible after applying this bb cream. Although it cannot hide pimple blemishes, but the redness will become less visible. It has a dewy finish without looking oily, take it from my before and after photo below. The pores are still visible as well. Best works with primer and set it with powder best for oily skin so it won’t wear out right before the day ends. Overall, it is a good bb cream to use on a daily basis. 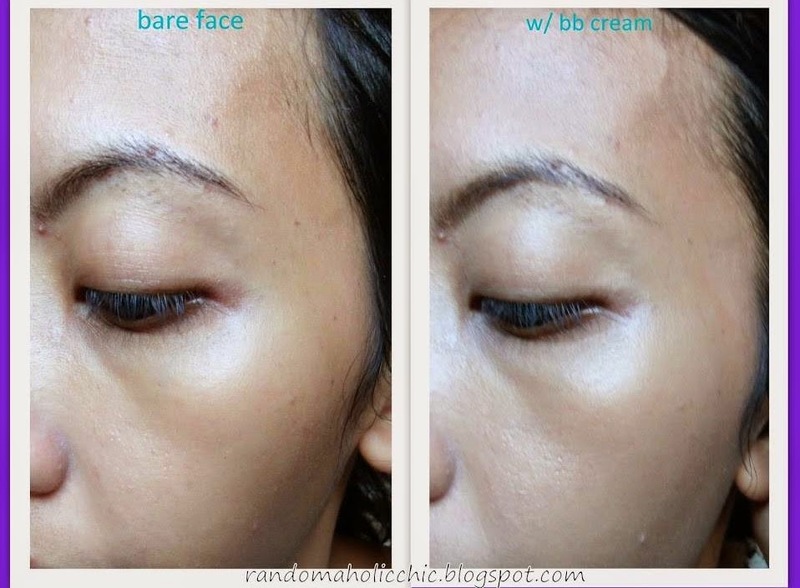 If you dont have too much blemishes to cover, yo will like the flawless semi dewy finish of this bb cream. It is best for those who works in an airconditioned facility. But if you spend more time outdoors, it also suits you because of the sun protection properties. However, it is recommended to touch up with powder occasionally to prevent yourself from oiling up. Have you already tried this bb cream? Let me know your thoughts.